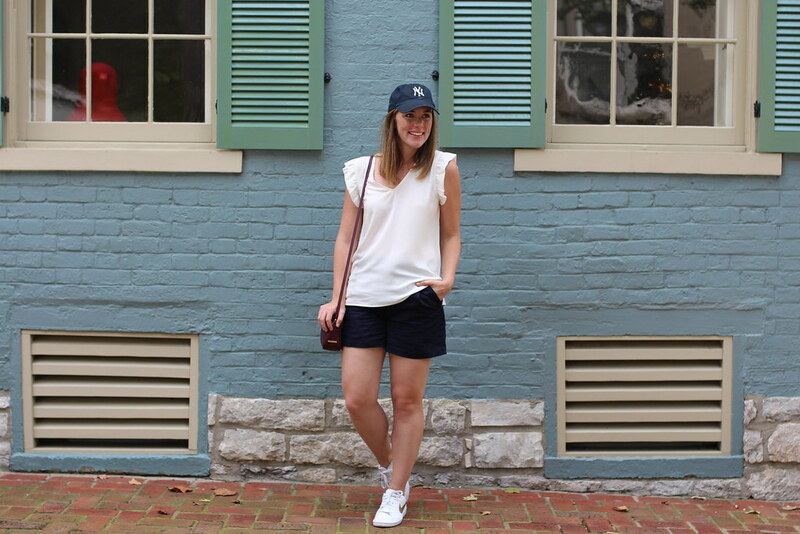 I'm really excited to share my first outfit from our trip to Lexington! 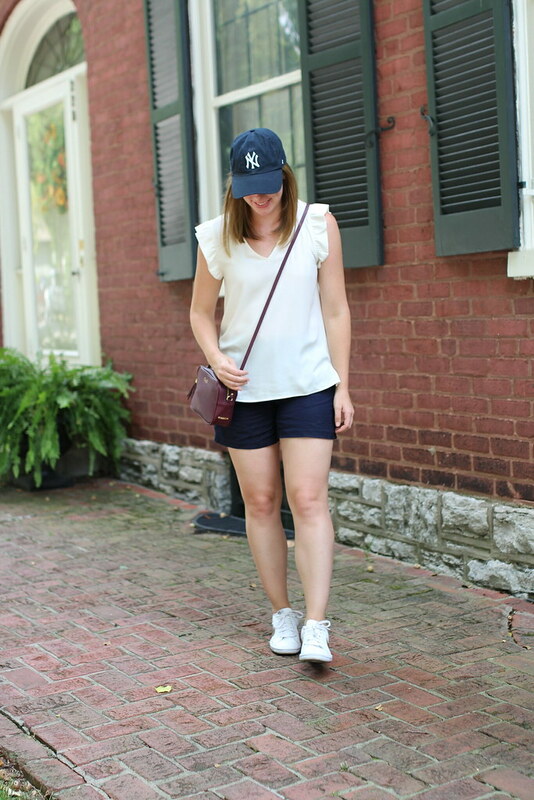 I'm working on a full recap post (including our amazing Bourbon Trail adventures and alllll the great food we ate) but first up is what I wore for a morning of exploring the city. I had an 11 mile run scheduled that weekend so while I did my grand tour around UK (literally loops and loops around the UK campus and the arboretum) Jackie, Jen and James found a new coffee shop and took blog pics near the super cute Gratz Park area. And since they're such good friends, they took me back so I could snap my outfit before brunch (I was also secretly letting them scope it out first ;) ). Gratz Park is a cute little area of town which reminded us a lot of Washington Square Park with the old architecture. 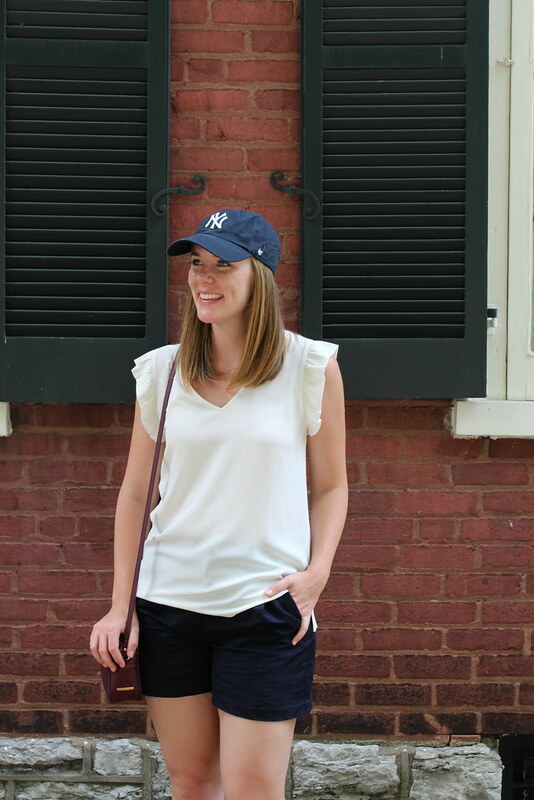 I decided to rock my sneakers that morning because #LongTrainingRun and I have to admit, this outfit has me really excited to wear them more this fall. Since I wear heels so much more during the week at work, I need to save my feet every chance I get (especially after pounding out double digit runs! ).